The integration can help users connect their Drift accounts to all different kinds of apps. We recently updated our Zapier integration to include a new trigger: when your site visitors reach a certain goal in a Playbook, with a designated . We know marketers love to use specific actions of their site visitors to kick off more qualifying workflows , and now this Zapier trigger can help! 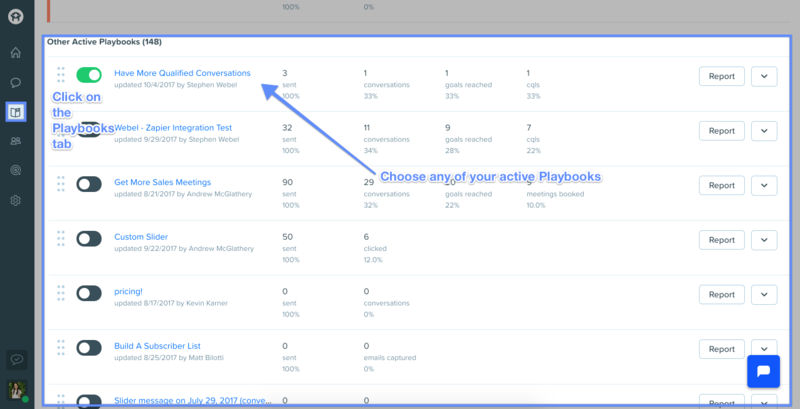 With this trigger, you can specify the exact Lead Stage that you want to provoke a specific action, rather than having every goal associated with a Playbook trigger a workflow that might not be intended for every end user who interacts with your bot. End User ID --> This is the most important part ! This attribute includes the internal record number of the end user and is something you can pass into your app using the "search methods"
After you've created the trigger of "User Reached Goal with Lead Stage", in order to get the contact's attributes you've collected in Drift, you can set up another action in Zapier and use the "Find User by End User Id" search action. 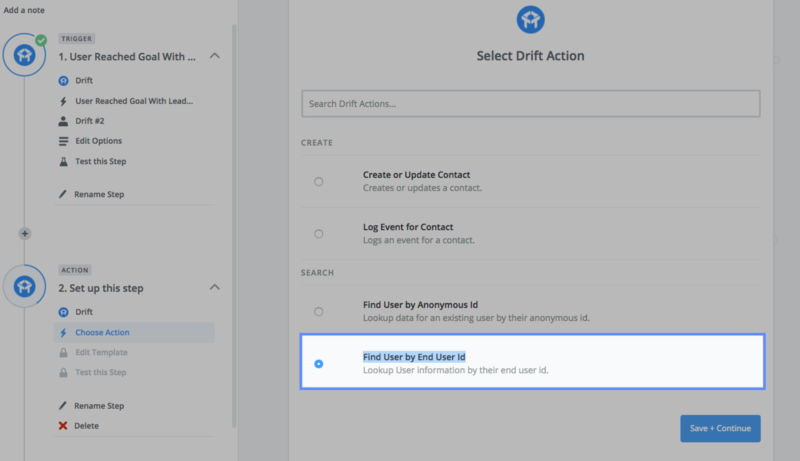 Using this search method will search your Drift account to pull back all of the data you have collected on a certain user who has also interacted with your Playbook. You will then be able to push this information into your preferred web app or CRM.